Top quality tough mechanical products generate safe, high performance automations with silent movement. Particular painting and UVA resistant treatments give Dynamos long lasting resistance to all atmospheric agents. The built-in control units incorporated in the Dynamos automation radically simplify the installer’s work and guarantee top performance. 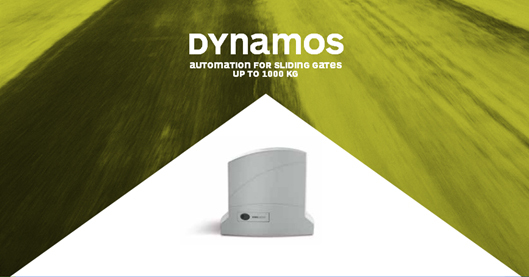 Tough release handle to open the gate by hand, spare fuses and removable memory card are just some of the functions offered by Dynamos, a reliable and innovative product. Dynamos is also available in kit version. 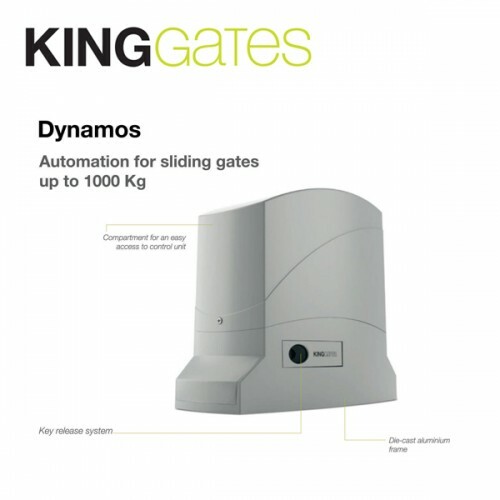 Dynamos Twin is the kit solution to automate two-leaf sliding gates. 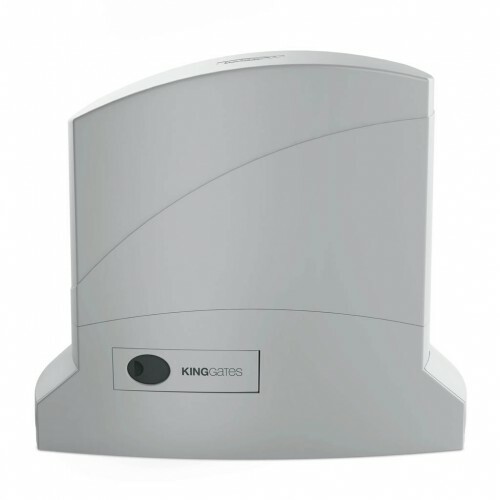 Dynamos a solid automation that can stand up to any sort of weather. 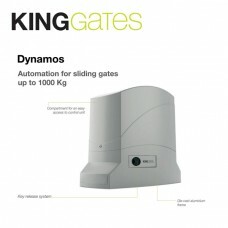 Dynamos Twin is the kit solution for sliding gate installation with double wings. Two operators, one with control unit for a perfect synchronization of the motors and accessories. 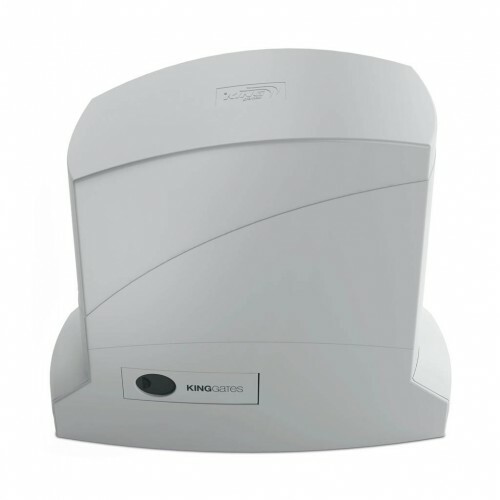 ELECTRONICS STARG8 control units radically simplify the installer’s job, guaranteeing high levels of performance in terms of safety, time and speed of installation. A single programming method speeds up the activation of the automatic devices and managing maintenance operations becomes simple and practical. 1 control unit 24 Vdc and 1 control unit 230 Vac,for all gate motors. Practical regulation using trimmers, self-learning gatetravel programming using a single key, diagnostic LEDs and dip-switches for setting operating modes.Management of slow-downoptions, speed regulation and obstacle control in all versions. Plastic cover with explanatory labels and spare fuses.